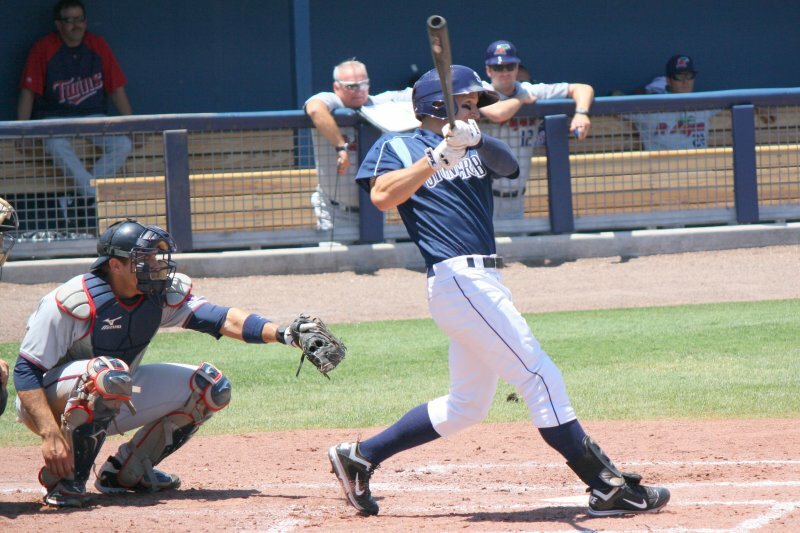 After a brief stint in Laredo, OF Chris Murrill has been purchased by the Tampa Bay Rays. The sale will send Murrill back to the team that originally drafted him in 2009. Murrill, who played his college ball at Nicholls State, will return to Charlotte after leaving Laredo. According to American Association's transactions page the Laredo Lemurs signed Murrill on June 13th and sold him to the Rays on June 14th, but their stats page says he played in two games. The 24 year-old was drafted by the Rays in the 35th round in 2009. Last year Murrill was placed on the Stone Crabs DL on May 30th and missed the rest of the 2011 season. He was released by the organization this spring. By Jim Donten on May 1, 2011. Well thanks for letting us know, it is great news. I've never heard a bad word about him, so the not burning bridges part isn't a surprise. But there have been a lot of nice guys get released and I can't think of any that have been brought back, at least recently. Says a lot about him. Now let's just hope they don't release Lyerly to make room for him! Seriously like y'all care if they release him. And really who else would they release? I think it's great they resigned him (murrill) but what are they going to do w him? He will sit just like lyerly which is a shame. I hope lyerly goes somewhere else and gets a real chance to prove how good he really is bc if he gets a real chance and doesn't just play once every 2 weeks he would prove all u who have doubted him wrong. Might want to watch that chip on your shoulder, son. Yes, I do care about Lyerly AND Murrill---especially since I, personally, know them both. Who said anything bad about Lyerly? Who said we want him released? We're just excited to have Murrill get another chance. Hopefully, they'll both play. I do agree with you about L not being given a chance. Unfortunately, it's a $$$ game---the more you sign someone for, the more chances they usually get to play. Hate it, but in most cases, it's true. Sorry, I now understand where you were cocming from. Good luck to both of them. I agree with you,should have been a all star and could be moved to double a soon !!! Chris Murrill was added to Port Charlotte Roster today and Craige Lyerly was added to Hudson Valley, however, from what I understand it is just a paper move. Lyerly will stay in Pt. Charlotte. So here is the question? Why are they keeping Lyerly? He isn't going to play in PC and isn't being moved to HV? What exactly is the point of having a player who apparently is never going to play? Because Lyerly has proven that when he doesn't see the ball on a regular basis he can't hit it. His strikeout rate unfortunately goes way up. When lyerly plays regularly he has proven he can hang and be pretty good, however, hasn't been given a chance to this year (which is fine) and from the looks of it wont be given a chance to anytime in the near future. And yes I know lyerly has chosen to continue that he isn't forced to sit the bench. I am just curious on why the rays keep him if there is no point in it. I mean it is very very very apparent they have no real use for him.